Youth development, community building and community hiring are at the core of RHI’s nationally recognized model and approach to strengthening Red Hook’s future. In our youth empowerment pipeline, which runs from middle school through young adulthood, we endeavor to collaboratively interrupt cycles of injustice and to build hope. 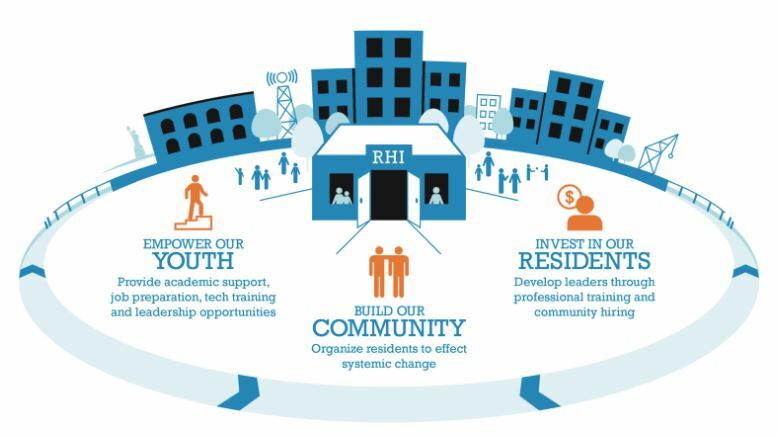 RHI has formal and informal strategic approaches to youth development and community building that incorporates the field’s best practices as well as elements unique to our own model. Research has shown that residents have better outcomes when they live in neighborhoods where individuals and organizations come together to respond to local challenges. Neighborhoods with this ability to unite can respond better to shocks and setbacks and can also better support individual outcomes for residents than those without this capacity. RHI seeks to use this knowledge to foster such an environment in Red Hook.